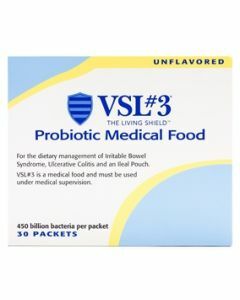 VSL#3® is therapeutic medical food used for the dietary management of ulcerative colitis, irritable bowel syndrome, and an ileal pouch. Please note: This is a 3 pack= 90 sachet/packets. Each box contains 30 packets. VSL#3 Probiotic Unflavored 30 pack by Alfasigma is probiotic formula that aids in managing Irritable Bowel Syndrome, i.e. IBS, Ulcerative Colitis, i.e. UC, pouchitis, and also an ileal pouch. 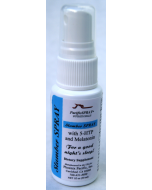 Other digestive symptoms of acid reflux, bloating, gas and constipation. are also reduced. VSL Packets contain 450 billion in each. Take 1-4 packets daily or as directed by your health care provider. 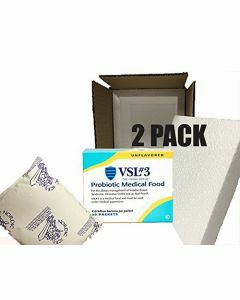 VSL should not be mixed with hot beverages or hot foods. 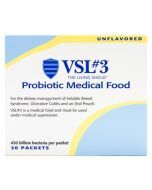 VSL#3 Unflavored is Dairy free, Gluten Free, Kosher, Halal certified and Non GMO. 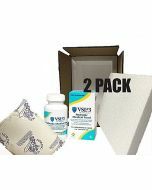 Each VSL3 packet has triple layer packets to prevent heat, light, moisture and contamination to maintain the potency.